Planning commission to review council’s proposal to eliminate 350,000-square-foot limit on downtown non-residential growth. The simmering community debate over how much office space Palo Alto should accommodate is set to flare up again Wednesday night, when the city’s Planning and Transportation Commission will consider abolishing a policy that limits new non-residential development in downtown. The proposal to scrap the cap was prompted by the City Council’s 5-4 vote in January 2017 to amend the city’s policies for office growth as part of the city’s Comprehensive Plan update, which was completed in November of that year. At the time, the five council members who are more amenable to growth — Liz Kniss, Greg Scharff, Adrian Fine, Greg Tanaka and Cory Wolbach — all voted to abolish the 350,000-square-foot limit on downtown non-residential development, arguing that the policy is no longer necessary given the other restrictions on commercial growth that are already in place. Palo Alto already has a citywide limit of 1.7 million new square feet of office and research-and-development growth. A citizen initiative to reduce that limit to 850,000 square feet will be on the November ballot. 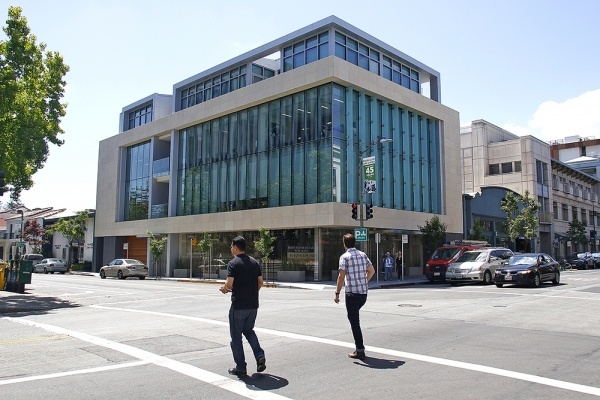 The council has also recently adopted the annual 50,000-square-foot cap on office development in downtown, around California Avenue and along El Camino Real, which intends to meter the pace of growth. Even so, the proposal to remove the downtown cap proved deeply polarizing at the January 2017 meeting. Wolbach and Scharff led the charge on removing the policy, with each arguing that downtown’s transit options make it more suitable for commercial growth than other parts of the city. What are the Golden State Warriors' latest plans for Downtown Oakland? Oakland to vote on property tax, owner move-in eviction measures Should California’s Costa-Hawkins rent control act be repealed?